Premium Aquatics: 36″ PLUS Premium Quality Reservoir – w/Dual Micron Bags. Regular price $379.99, now only $299.99. Salty Critter:Giesemann T5 Bulbs, 24″ 14.95. HelloLights: 14,000K Iwasaki HQI Double-Ended 250W. Regular price $74.95, now only $54! 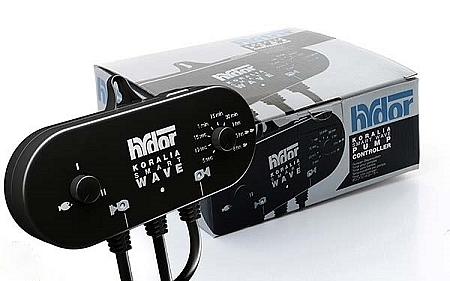 Marine Depot: 25% off Hydor Koralia Smart Wave Pump Controller. That Pet Place: 30 in. Coralife Lunar Aqualight CF Fixture – 2 x 65W CF – 2 x LED Lunar. Regular price $199.99, now only $151.99. Bulk Reef Supply: 10% OFF Enaly Aquarium Ozone Generator. Foster and Smith Aquatics: 20% OFF Coralife Super Skimmer Needle Wheel Protein Skimmer. Reef Specialty: Coralvue “High Seas” Wave Makers – CV-101B. Regular price $29.99, now only $26.99! SeaQuest Marine: AquaC RX-1 Calcium Reactor. Regular price $449.95, now only $428.88! Aquarium Guys: Fluval Chi Glass Aquarium Kit – 5 gallon. Regular price $71.99, now only $55.09! Big Als Online: Rite Size E Emperor Cartridge – 4 pk. Regular price, $7.49, now only $11.99.